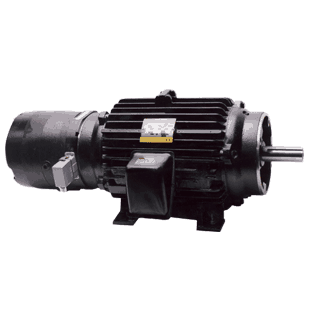 The modular design of our motors consists of a foot mounted NEMA motor, and a “C” face drive end and accessory “C” face. This design feature shortens delivery time and can be furnished with a variety of options, including encoders and brakes. Capable of a 1000:1 speed range. 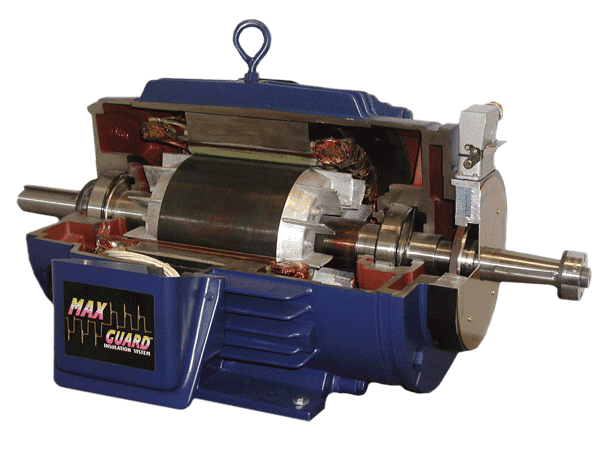 Blue Max Motors offer the most complete line of inverter duty motors in the industry. This motor series was designed to Magnetek's specifications, and is ideal for use in any application where precise motion control is needed. Tests have shown that these motors are capable of a 1500:1 speed range when used with our IMPULSE®• VG+ Series 4 flux vector motor control. 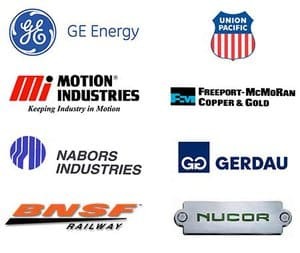 For applications requiring a higher horsepower motor,we offer motors in a 5000 series frame, capable of up to 1000 HP. This motor is suitable for CMAA Class A through F applications and has a service factor of 1.0 on PWM drives. 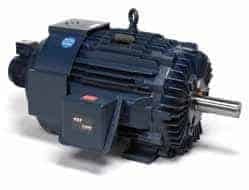 Like our lower HP version, the Blue Max High Horsepower Motor is capable of a 1500:1 speed range, when used with our IMPULSE®•VG+ Series 4 Flux Vector motor control.